When people keep asking me the same question over and over my solution is to write a blog post. Is the list exhaustive? No. This is a flexible city. Things are constantly changing. Why isn’t (insert name) included? This is flexible post. I’m happy to add places to it as I hear of them. Shoot me an email. Why do some of the places have more information than others? This is New York City. Small business owners are very busy, some got back to me and others didn’t. 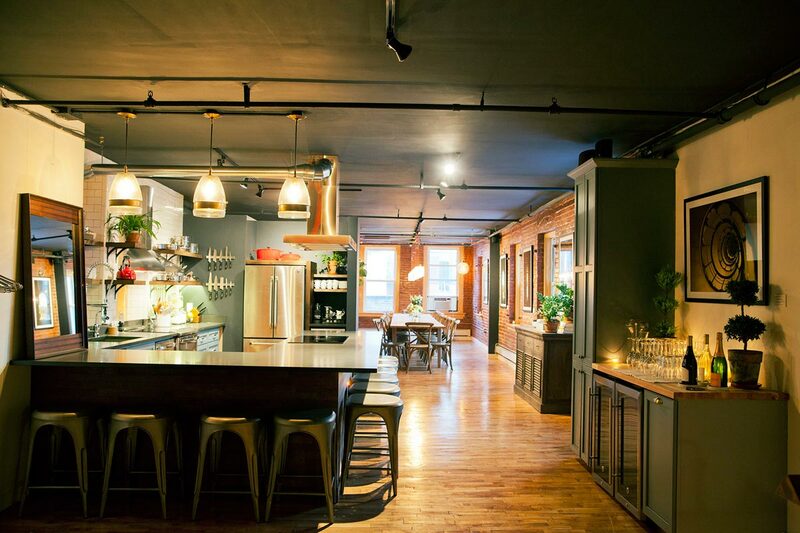 The Kitchen Table is an all-inclusive intimate culinary event space designed to be your “home away from home” specializing in dinner parties, rehearsal dinners, corporate events, photo/video shoots, corporate retreats and branding events. Price range: Our minimum rental period is 6 hours and rates start at $2200. Multiple day booking and non-profit discounts are available. We are suitable for cooking classes, first and foremost, since we are a full time cooking school and well-designed for teaching. And we are also suitable for catering, events, photo shoots (enormous skylight makes for excellent daytime shooting), and renting out for incubator-style tinkering (daytime only). Price range: Flat rates go from $500 for culinary instructors only (for a 5 hour rental), up to $1200 for more commercial purposes depending on the number of people in the space. 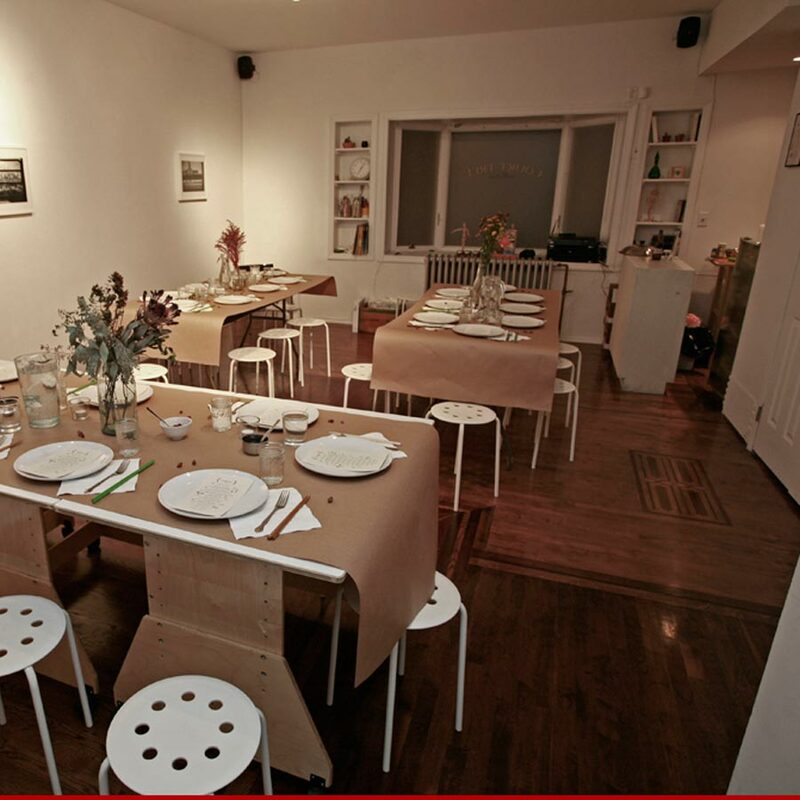 Court Tree Collective is a group of artists with a shared aim of bringing art and cultural events to the Carroll Gardens neighborhood of Brooklyn. Unique events include gallery programs and workshops, art classes and cooking demonstrations and events. Price range: Flat day rate (8 hours) is $300. We offer chefs $50 per hour for cooking demos. 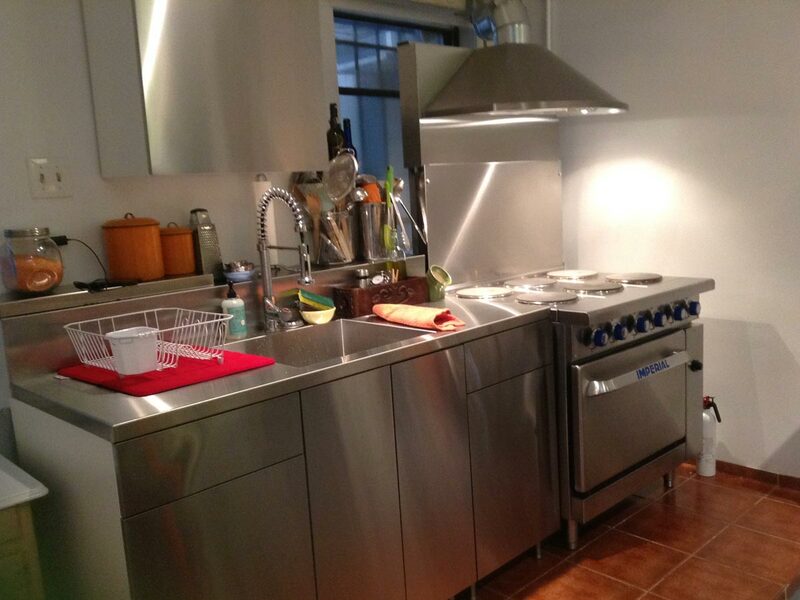 Full-service, state-of-the-art, commercial kitchen rental designed to offer a wide range of services to chefs, culinary professionals, cooking instructors, as well as private individuals. The Entrepreneur Space is an innovative incubator that provides a home to emerging businesses and organizations seeking a commercial kitchen, small office or classrooms. Clients also receive business counseling, technical assistance and networking opportunities‚ all at a reasonable cost. The O.F.I. offers solutions to small food manufactures including space rental, education / consulting, and contract manufacturing. We offer space on a shift basis or longer term basis for companies to develop and produce their products. Minimum rental is one shift. At Hana Kitchens, we offer a 12,000 square feet commercial kitchen space for rent to start up entrepreneurs in the food industry.